Home » Rental » Audio Gear » Microphones » Rode NTG3 shotgun condenser microphone. Add kit to your kit list to see the shipping price. Click for more shipping information. Rode NTG3 shotgun condenser microphone. 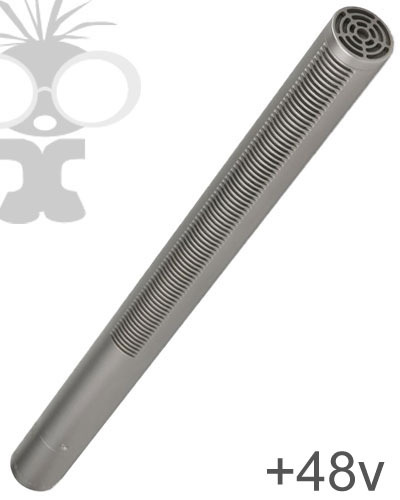 The Rode NTG3 is a moisture-resistant shotgun condenser mic (XLR). The microphone is powered via XLR with +48v phantom power only. It features RF bias technology which makes it alsmost completely resistant to oisture. It also has incredibly low handling and self-noise (13dBA). It is supplied in a protective metal case and branded foam wind shield. Other audio accessories can be added to your rental kit including a Rode deadcat windshield, boom pole and shock mount.